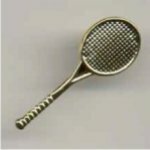 A game usually played outdoors, in which two players or two pairs of players using rackets hit a fabric-covered, hollow rubber ball back and forth over a net stretched across a marked, level, rectangular area. 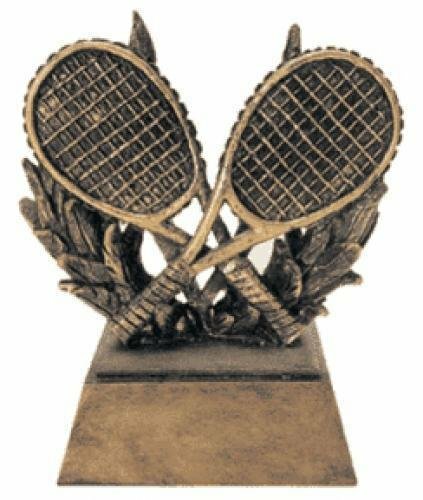 That deserves a tennis award. 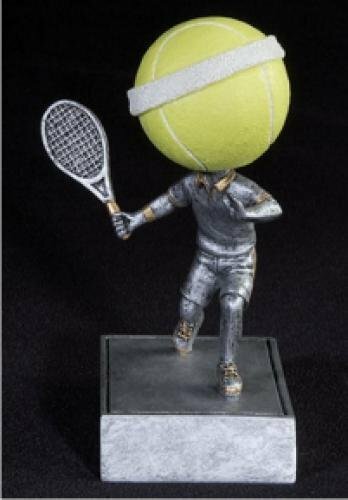 Tennis bobble head award. Infectious trophy fun. 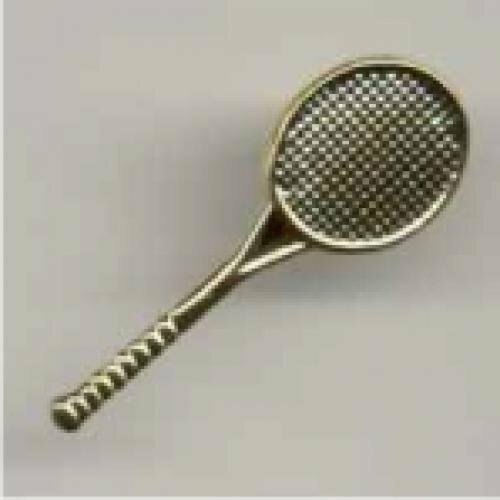 Tennis Letter Jacket Chenille Pin. Tennis shelf sitter. Individually boxed. 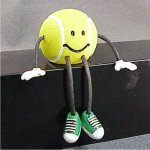 Tennis ball is 2" in diameter. Production lead time for this product is 2 days. This product has a maximum order quantity of 8. 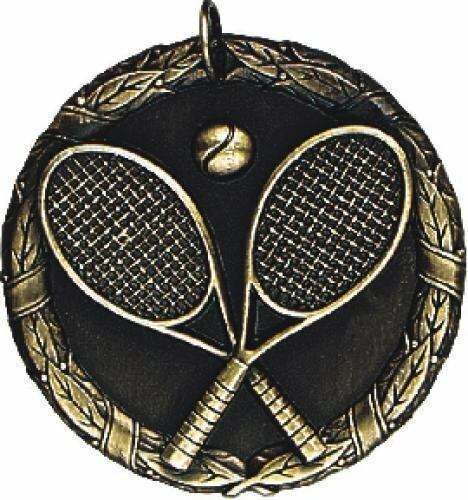 Love, love this Resin Tennis award. Comes with a gold plate printed with black text. Base may be gold or glossy rosewood-look, depending on what we currently have in stock. 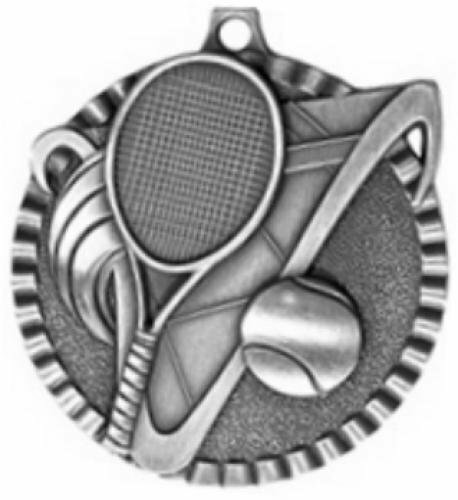 Tennis medal. Many different ribbon colors to choose from. Production lead time for this award is 5 days. This award has a maximum order quantity of 18. Black metal tennis sculpture. Aluminum plate on front of black base is printed with black text. Individually boxed. Don't need the personalized plate? Click here for a lower price. Production lead time for this award is 5 days. This award has a maximum order quantity of 31. Just the ticket for sports trophies for kids of all ages. 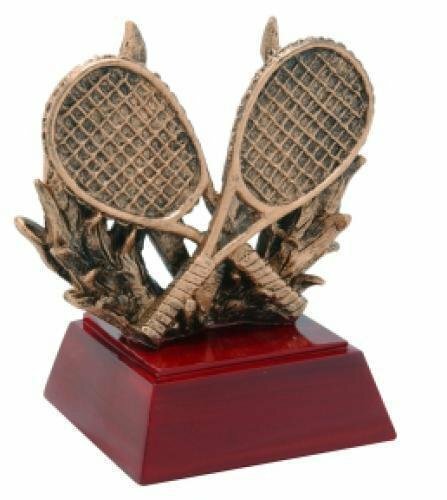 Trophies include your choice of figure on a colorful column, plus a side trim piece. Comes with a gold plate printed with black text. Approx. height shown is based on using a 5" figure. Our winning trophies are unbeatable. They include your choice of a gleaming trophy figure perched on a colorful column. Comes with a goldtone plate printed with black text. Victors will proudly raise this trophy in glory. Trophies include your choice of figure on a wide colorful column. Comes with a gold plate printed with black text.